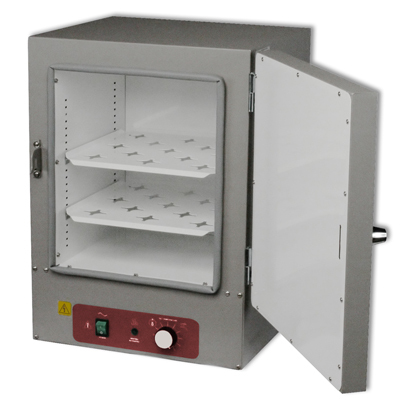 SHEL LAB general purpose incubators deliver a degree of temperature uniformity usually found only in more expensive, application specific models. Efficient gravity convection heating is supplied by economical low watt density heating elements. The heating element has a unique shield to protect against spills inside the chamber. The rigidly constructed chamber is insulated with 2” of industrial fiberglass, minimizing heat loss and maximizing temperature uniformity. The hydraulic controller is dependable and regulates the chamber temperature. Incubator door, with its positive door latch, is tightly sealed with a 1/2” silicone gasket. 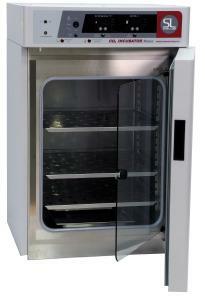 Glossy white interior enables easy contamination detection. 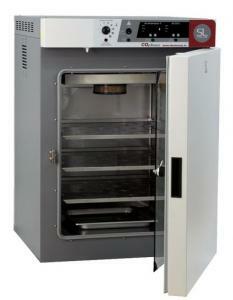 SMI12 SMI12 Digital Laboratory Incubator, Dual Stacked, 5.7 Cu. Ft.